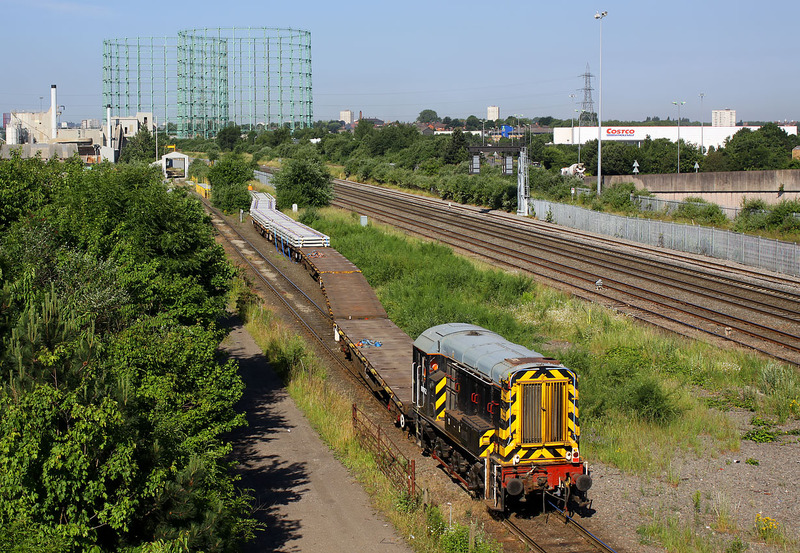 08762 does a spot of shunting at Washwood Heath on 9 July 2013. Having just brought this partially loaded train of track panels up the line on the left, it is now propelling back. You would think in the interests of train crew sighting, that they would at least trim those two bushes near the rear of the train!